On Monday I decided to visit my grandmother so me and mom cycled to the city and back. All together about 1 hour of casual cycling. In the evening I had a normal 30 minute walk with my dog. Decided to take it slow and not have a “real” workout because my legs felt so tired. I decided to listen to my body more: if you really feel tired, don’t torture your muscles with extreme workouts; if you feel hungry, eat; if you’re sleepy, go to bed etc. Tuesday as always was rest day. Had a nice long walk with my dog and enjoyed last bits of summer. It was actually so hot that when we reached a shadow under a bridge, my dog just sat down and then layed down and looked at me like I was murdering him. On Tuesday I also switched over to counting net carbs. Before I was eating 20 grams of total carbs (and that would be under 10 grams of net carbs, no wonder I started feeling tired and lack energy). So now 20 grams of net carbs (total – fiber = net) is like 30–40 grams of total carbs. The first day was aweful, I ate 32 g of total carbs and felt like cheating big time. But I felt more energetic by Tuesday evening. If fiber doesn’t raise blood sugar or insulin or even digest in my system, why count it as carbs? On Wednesday was the last class with my best friend aka instructor in a long time. I have no idea when we’ll work out together next, maybe in October if our schedules fit together. I’m gonna miss her classes! I felt my energy coming back and I was giving it my all. In the morning did a 30 minute walk with my dog. Thursday morning I stepped on the scale and – BOOM! 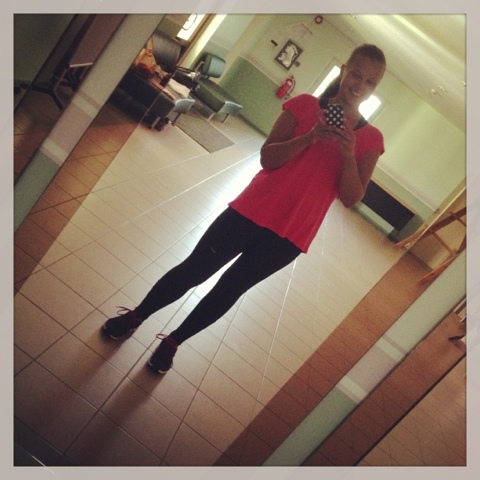 – weight had reduced! Yay! I felt like going running or something but I had just had breakfast so I had to wait a few hours. Running too soon after eating: never a gret idea. On my run I managed to have an average pace of 7:42 min/km which is a lot better then my last runs. In the evening I also cycled to the city and back, all together 45 minutes, some of it in really strong wind. Friday was prepping for my grandma’s 80th birthday party: cooking, baking slicing and dicing. In the evening had a walk with my dog and went cycling for an hour. Saturday started brigth and early: first thing was stepping on the scale (and I was so disappointed again… what’s up with my weight?!) and then an hour walk with my dog in fog. Then it was prepping for gran’s birthday gathering. In the afternoon all my relatives came over from all over Estonia and it was party time. I managed to stay on the LCHF track and only have a couple of pieces of dark chocolate (although it was sweet, it is still considered LCHF). But I did eat too much of everything and felt too full by the end of the night. Me and mom cooked everything for the birthday and the food was just too yummy again. Had lots of veggies, meats, cheeses, fish, liver pate etc etc etc. Sunday was a total fail for me. After birthday breakfast. All the food around. I was good and sticked to my low carb plan. Then cake and coffee time came. And somehow something in me was like: “You had gained weight yesterday. Lets eat the delishious strawberry banana whipped cream cake you made.” Oh boy. I ate a big piece of that and some apple pie. And then felt too full. I hadn’t had cake in such a long time, about 6 months. But no regrets: it tasted good and I enjoyed it… Until the stomach pain began: the whole day I was like a balloon and had pain in my tummy. I really felt seriously ill. Sugar is such a drug. In the evening I pushed myself for a run. I was slow, my stomach pain got worse and after working out the nausea hit me in addition to everything else. After this horrible experience with overeating and sugar I swore not to do this to myself ever again. Workout-wise it was a great week but the Sunday cake fail was a true fail. I don’t know if I even want to step on the scale next week. I need to get myself together again. I am very motivated to lose those last 5–7 kilograms by Christmas. Yummy cake, good luck with your journey! 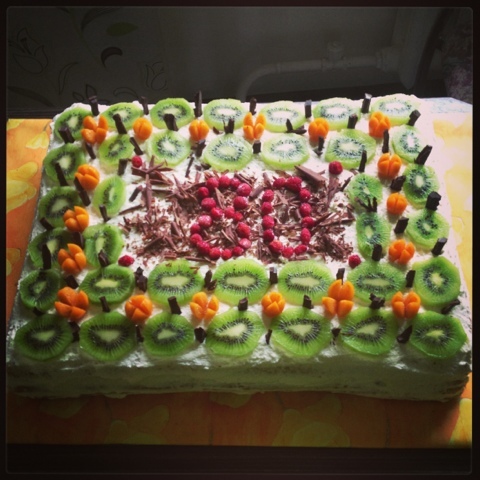 I made the cake myself, thank you!